Aleksi Niemi is a talented, 23-year-old Finnish national team orienteer. 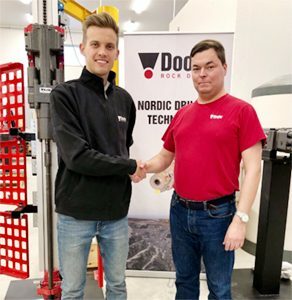 For this year 2019, Doofor and Niemi signed a partnership, which will support Niemi in his target to reach the international top of this higly honored sport. Niemi, who nowadays study and practice in Lidingö, Sweden, is originally from Tampere, a neighbor city of Doofor.